Canadians have been aware for some time that their Prime Minister subscribes to an arcane fundamentalist strain of Christianity. Being the polite and generally go-along types we are, we have quite properly left his faith between the man and his God. However, it is now evident that Canada’s P.M. is a credulous disciple of another not-so-fringe and much more dangerous faith, about which we have every right to be deeply concerned. That cultic faith is Old Testament economics. As rival candidates for power in Afghanistan signed a power-sharing deal on Sunday, an understandable sigh of relief swept through the corridors of power in those countries that have expended troops and treasure in the last dozen years trying to get the central Asian nation on its feet. In the six months since the first round of the presidential elections it looked as though the whole Afghan project might collapse into new chaos as the two main candidates, former World Bank official Ashraf Ghani Ahmadzai and former Foreign Minister Abdullah Abdullah, exchanged increasingly bitter allegations of vote-rigging. At age 36, dressed in spangled white jumpsuit with neckline plunging to the waist, Chubby Checker looked vaguely silly, like Elvis in Vegas. A dance routine in which a man pretends to grind out cigarette butts with his feet might seem a shaky foundation on which to build an enduring musical career. 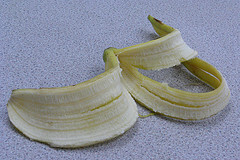 But there he was, 17 years after hitting the big time with The Twist, still twisting away as if his life depended on it. Britain will never be the same. The day after Scots voted 55-45 to support the United Kingdom, on promises by unionists for a new range of Scottish powers, Prime Minister David Cameron set in motion a process to empower not just Scotland, but also Wales and Northern Island — and potentially to remake the British political system. You’ll find lots of great free stories inside our site, while much of our original work is behind a paywall — we do not sell advertising. Journalism has value; and we need and appreciate your support (a day pass is $1 and monthly subscription is less than a cup of coffee). If you’d like to give us a try before throwing pennies our way, drop me a note at Editor@factsandopinions.com, and I will email you a complimentary day pass. Chris Wood writes that the religious faith of Canada’s prime minister is properly his business. His shepherding of the economy according to Old Testament economics, however, is everyone’s concern. 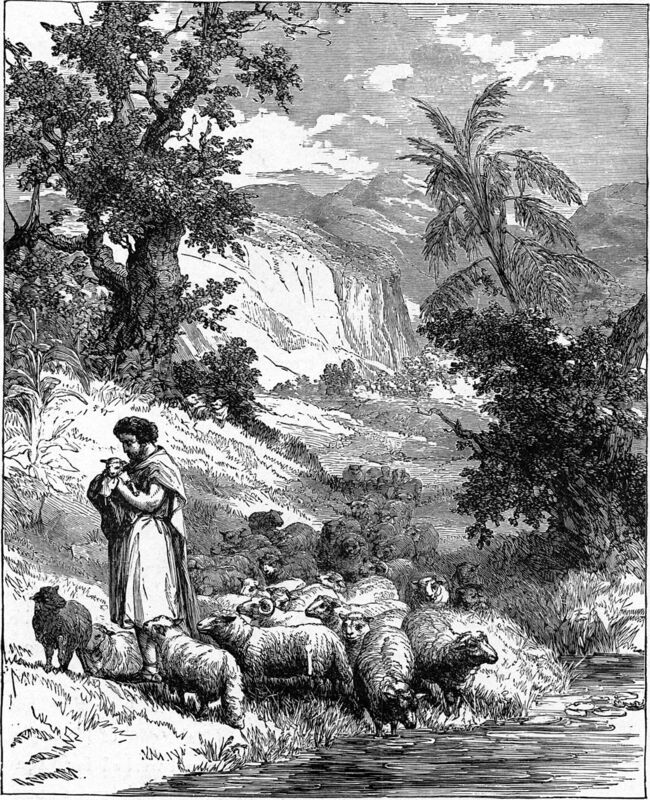 An illustration from Bible Pictures and What They Teach Us by Charles Foster. Public domain. Canadians have been aware for some time that their Prime Minister subscribes to an arcane fundamentalist strain of Christianity. Being the polite and generally go-along types we are, we have quite properly left his faith between the man and his God. However, it is now evident that Canada’s P.M. is a credulous disciple of another not-so-fringe and much more dangerous faith, about which we have every right to be deeply concerned. That cultic faith is Old Testament economics. It’s the black and white thinking of dogma, like good and evil, believer or heretic. Choose one: a paycheque or, you know, air. We have a tragic history of this illusion in my country, where the rotten-egg stench of a pulp mill — often a town’s only reason for being — was colloquially described as ‘the smell of money’ … log in (subscription required*) to read Kool-Aid Economics. Click here for Chris Wood’s Natural Security column page, or here to subscribe or purchase a $1 site day pass. *Facts and Opinions is a boutique for select journalism, without borders. Independent, non-partisan and employee-owned, F&O is sustained entirely by readers: we do not carry advertising or solicit donations from foundations or causes. Why? We appreciate your interest and support: for $2.95 (the price of a cheap brew) you can subscribe to F&O for a month. If that breaks your budget, a one-day pass is $1. A subscription is required for most F&O original work. Subscribe for free to Frontlines by entering your address in theform on the right (we won’t share your address), or follow us on Facebook or Twitter. Disco dancing was all the rage when I saw him performing at a Calgary nightclub in 1977, and Checker was mightily annoyed that nobody was giving him credit for starting the craze. Didn’t they know that he was the one who originated the practice of dancing to rock ’n’ roll songs without touching one’s partner? Didn’t they know that he, Chubby Checker, had given the world a great new Charleston for the 1960s? The latest addition in 1977 to Checker’s seemingly endless supply of novelty dance tunes had been something called The Rush but it failed to catch on. “It was played on 90 radio stations the first week and then – as if they all got a signal – they stopped playing it,” he told me. “It’s not good enough, it’s not fair. Disco owes its existence to me. If it wasn’t for me, this club wouldn’t be here. 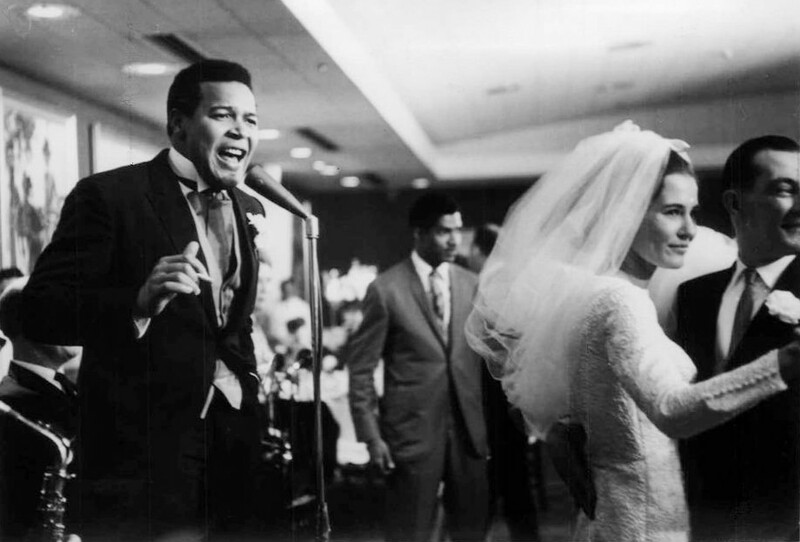 They’ll probably make me a star when I’m dead.” … log in to read Twisting the Years Away: Chubby Checker (subscription*). *You’ll find lots of great free stories inside our site, but much of our original work is behind a paywall — we do not sell advertising. We do need and appreciate your support (a day pass is a buck and monthly subscription costs less than a cup of coffee), but if you’d like to give us a try before throwing pennies our way, email Editor@factsandopinions.com, and I will send you a complimentary day pass. *Facts and Opinions is a boutique for slow journalism, without borders. Independent, non-partisan and employee-owned, F&O is sustained entirely by readers: we do not carry advertising or solicit donations from foundations or causes. Why? We appreciate your interest and support: for $2.95 (the price of a cheap brew) you can subscribe to F&O for a month. If that breaks your budget, a one-day pass is $1. A subscription is required for most F&O original work. Subscribe for free to Frontlines by entering your address in theform on the right (we won’t share your address), or follow us on Facebook or Twitter. The popular media, always looking for the next big thing, has fastened upon the swift victories and social media brutalities of the group calling itself Islamic State.1 The various media have portrayed the organization as a worldwide threat and a number of governments have organized themselves to deal with it, led by the United States. You have to read between the lines on this one. First, this terrible threatening force is actually weaker than the Taliban force that was over-running Afghanistan in 2002. 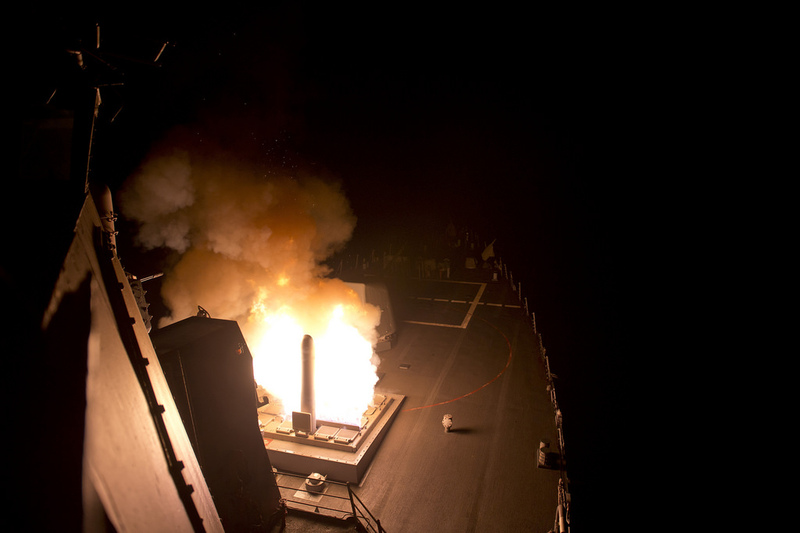 That push ended when a few American spotters on the ground called in coordinates for bomber strikes. Deserts are unlike Vietnam: there is no jungle canopy to hide in. Very quickly, the Taliban were back in their mountains where they have mostly been ever since. ISIS, or IS, is also in the desert and, to my knowledge, has no air capability. You may have noticed that the ISIS advance did not hold up any better than the Taliban against American drones and fighters, once they were deployed. In Iraq, the only mountains for an ISIS retreat are home to the Kurds, a Sunni nationality that has a very different agenda than the Arabs in ISIS. There, ISIS personnel will have to hide in the cities they have captured, but then a collapse from lack of munitions or money is but a matter of time. These guys are incapable of building or producing anything; they can only pillage and plunder. … click to read Islamic State threat a media creation. *Facts and Opinions is a boutique for select journalism, sustained entirely by readers. Independent, non-partisan and employee-owned, we do not carry advertising or solicit donations from foundations or causes. Why? We appreciate your interest and support: you can subscribe to F&O or buy a one-day pass for $1. A subscription is required for most F&O original work. Subscribe for free to Frontlines by entering your address in theform on the right (we won’t share your address), or follow us on Facebook or Twitter. As rival candidates for power in Afghanistan signed a power-sharing deal on Sunday, an understandable sigh of relief swept through the corridors of power in those countries that have expended troops and treasure in the last dozen years trying to get the central Asian nation on its feet. In the six months since the first round of the presidential elections it looked as though the whole Afghan project might collapse into new chaos as the two main candidates, former World Bank official Ashraf Ghani Ahmadzai and former Foreign Minister Abdullah Abdullah, exchanged increasingly bitter allegations of vote-rigging. 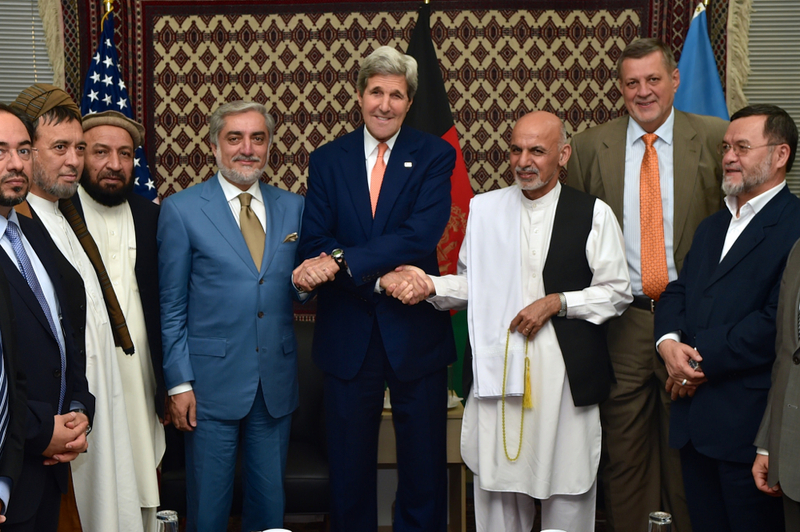 It has taken vigorous and persistent arm-twisting by United States Secretary of State John Kerry and many others to bludgeon Ghani and Abdullah to agree to a government of national unity. Under the pact, Ghani will be President and Abdullah has been given the authority to appoint a Chief Executive – essentially a Prime Minister – a job he is likely to grab himself. Facts and Opinions is a boutique for select journalism, without borders. Independent, non-partisan and employee-owned, F&O is sustained entirely by readers: we do not carry advertising or solicit donations from foundations or causes. Why? We appreciate your interest and support: for $2.95 (the price of a cheap brew) you can subscribe to F&O for a month. If that breaks your budget, a one-day pass is $1. A subscription is required for most F&O original work. Subscribe for free to Frontlines by entering your address in theform on the right (we won’t share your address), or follow us on Facebook or Twitter. Big congratulations to Stephen Kimber, whose book What Lies Across the Water: The Real Story of the Cuban Five, won the Evelyn Richardson Non-Fiction Award this weekend at the 2014 East Coast Literary Awards. The awards, which celebrate Atlantic writers and writing, were held Saturday at the Institute of Applied Creativity at the Nova Scotia College of Art and Design in Halifax. The J.M. Abraham Poetry Award went to Don Domanski for Bite Down Little Whisper (Brick Books), while William Kowalski was awarded the Thomas Raddall Atlantic Fiction Award for The Hundred Hearts (Dundurn). The Five were members of a Cuban intelligence network sent to Florida in the 1990s to infiltrate Miami exile groups plotting terrorist attacks against Cuba. Though they helped prevent a number of terrorist attacks, the Five were arrested by the FBI in 1998, tried, convicted and sentenced to lengthy prison terms. Three of the five are still in jail. Although their case is still little known in the United States, international human rights organizations — including Amnesty International and the United Nations Working Group on Arbitrary Detention — have criticized their treatment in the U.S. justice system, and a dozen Nobel laureates have written in their support. Click here to buy a digital version of What Lies Across the Water, for $9.99 Canadian, on Kimber’s site. The site includes a link to purchase the physical book via Amazon. You can read an excerpt of Kimber’s book, published by Fernwood, in F&O’s magazine section: Heroes of the Revolution? The Cuban Five. Kimber is a journalist and university professor based in Atlantic Canada. Weed, California. 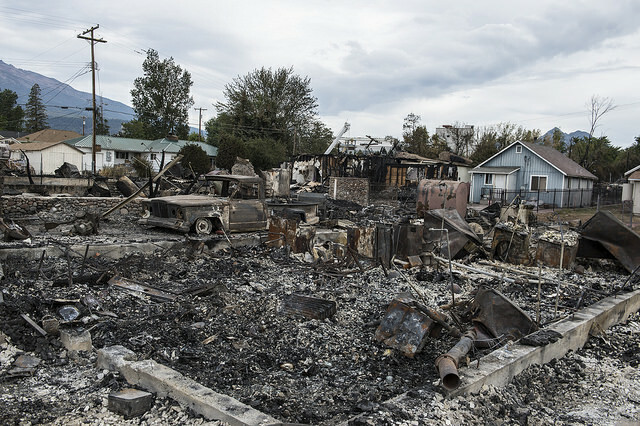 Fire burned 100 homes September 15, 2014 in the Siskiyou County town of Weed. The state, experiencing record drought, declared a state of emergency in January. Photo by California Emergency Services. This isn’t the Bastille of the Climate Revolution. Not even close. What organizers are billing as “the largest climate march in history this weekend,” hopes to draw as many as 150,000 people to New York City to urge leaders from 120 countries meeting there for the Climate Summit on Tuesday to kick up the pace of response to climate change. I don’t mean to be mean, and I applaud the goodwill of everyone involved, but 150,000 people, if they get that many (and usually in these things actual warm body counts fall far short of heady expectations), in the streets of a city of eight million otherwise-occupied souls, will mean next to nothing to the men keeping climate action in first gear. For one thing, 150,000 is a corporal’s guard compared, say, to the conservatively estimated (by the BBC) six to ten million people who mustered out to protest President George W. Bush’s invasion of Iraq. That was one country about to commit one egregiously arrogant as well as stupid, act. If ten million people couldn’t get America to think twice about an invasion of choice, a relative platoon isn’t going to budge the keystone predators of the financial and fossil-fuel industries or their political chattels. For another, the people abandoning the defense of our families, our economic savings, and our communities from the increasingly extreme violence of climate disruption, won’t be in New York. Both Canada’s Prime Minister Stephen Harper and Australia’s Tony Abbott — who have jointly put the rest of the world on explicit notice that they’re willing to see much of it destroyed (I mean this literally) so long as their economies prosper — are snubbing the event. So, as far as we know, are the Koch brothers, Charles and David, and Rupert Murdoch—among Harper and Abbott’s much more powerful analogs in the plutocracy. So again: full marks for sincerity to the New York marchers. But sincerity only goes so far. The United Nations Climate Summit is no Bastille in the economic revolution (or something very close to it) that might just possibly keep our society from tumbling into the pit of our own ecological overdraft. Those Bastilles are in places like Ottawa and Canberra and Palm Springs, where the Koch Brothers annually gather their followers and sycophants and Congressional marionettes. Turn up there with 150,000 men and women and kids righteously pissed off about having their future destroyed, and some of those leaders might just begin to worry enough about their own future to re-consider their neglect of our natural security. 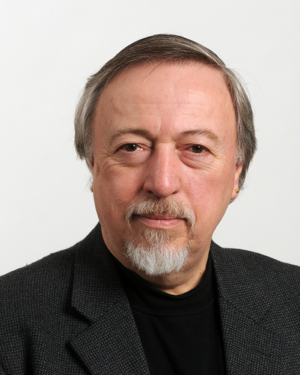 Journalist and author Chris Wood’s most recent books and articles focus on the environment. 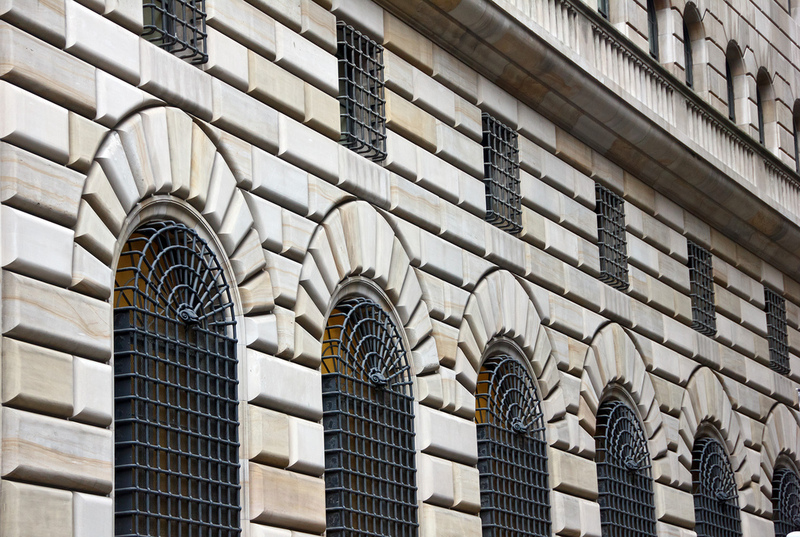 Read his Natural Security column for F&O here (subscription*). **You’ll find lots of great free stories inside our site, but much of our original work is behind a paywall — we do not sell advertising. We do need and appreciate your support (a day pass is a buck and monthly subscription costs less than a cup of coffee), but if you’d like to give us a try before throwing pennies our way, email Editor@factsandopinions.com, and I will send you a complimentary day pass. Facts and Opinions is a boutique for slow journalism, without borders. Independent, non-partisan and employee-owned, F&O is sustained entirely by readers: we do not carry advertising or solicit donations from foundations or causes. Why? We appreciate your interest and support: you can subscribe to F&O or buy a one-day pass for $1. A subscription is required for most F&O original work. Subscribe for free to Frontlines by entering your address in theform on the right (we won’t share your address), or follow us on Facebook or Twitter. 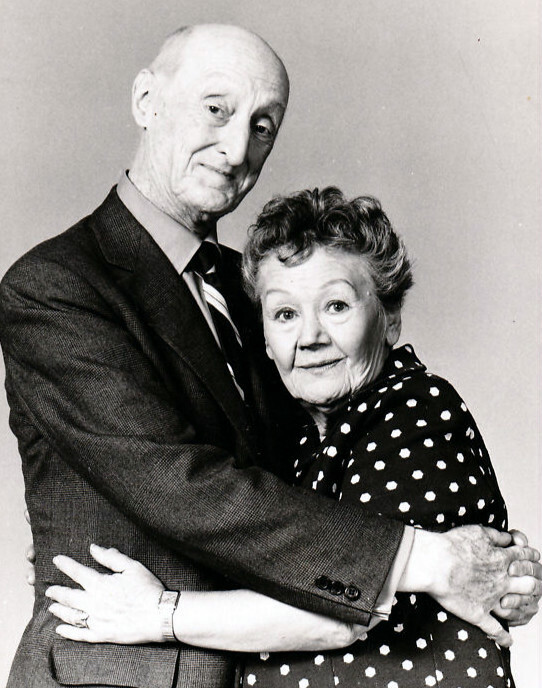 I just knew I had to interview Burt Mustin when he walked into the newspaper office in June 1973 and told the receptionist he was “the best they-went-that-a-way” actor working in Hollywood. Work had stopped in the film capital because of a screenwriters’ strike. So Mustin was taking a short vacation in Canada, dropping into newspapers unannounced, and telling his story to any reporter who wanted to listen. I wanted to listen. Mustin was 89 years old then and undoubtedly had a good story to tell. How did it all get started for him? He was kidding, of course … log in to read “They Went That-a-way”: Burt Mustin (subscription*). 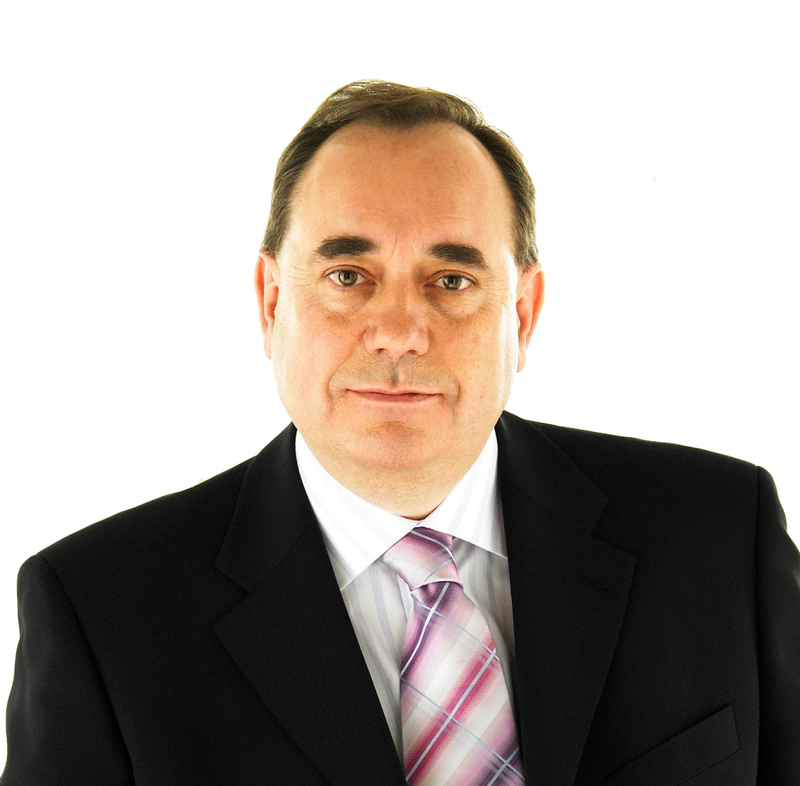 Meantime, First Minister Alex Salmond, who devoted his life to Scottish independence, shocked Scots by resigning, which he had earlier said he would not do if his Yes campaign for independence failed. Cameron appointed Lord Smith of Kelvin to oversee devolution in Scotland, and William Hague to oversee plans for a system allowing more powers for citizens in England, Wales and Northern Ireland, developed at the same pace as Scottish devolution. Salmond called on Britain’s leaders to honour that settlement, and the 11th-hour promises made in the last weeks of the campaign, promptly. Whatever else we can say about this referendum campaign, we have touched sections of the community who’ve never before been touched by politics. These sections of the community have touched us and touched the political process. I don’t think that will ever be allowed to go back to business as usual in politics again. The Scottish National Party (SNP) was elected in Scotland in 2011 and promised a referendum on independence. We could have blocked that; we could have put it off, but just as with other big issues, it was right to take – not duck – the big decision. The 3 pro-union parties have made commitments, clear commitments, on further powers for the Scottish Parliament. We will ensure that they are honoured in full. And I can announce today that Lord Smith of Kelvin – who so successfully led Glasgow’s Commonwealth Games – has agreed to oversee the process to take forward the devolution commitments, with powers over tax, spending and welfare all agreed by November and draft legislation published by January. Just as the people of Scotland will have more power over their affairs, so it follows that the people of England, Wales and Northern Ireland must have a bigger say over theirs. The rights of these voters need to be respected, preserved and enhanced as well. It is absolutely right that a new and fair settlement for Scotland should be accompanied by a new and fair settlement that applies to all parts of our United Kingdom. In Wales, there are proposals to give the Welsh government and Assembly more powers. And I want Wales to be at the heart of the debate on how to make our United Kingdom work for all our nations. In Northern Ireland, we must work to ensure that the devolved institutions function effectively. So, just as Scotland will vote separately in the Scottish Parliament on their issues of tax, spending and welfare, so too England, as well as Wales and Northern Ireland, should be able to vote on these issues and all this must take place in tandem with, and at the same pace as, the settlement for Scotland. I hope that is going to take place on a cross-party basis. I have asked William Hague to draw up these plans. We will set up a Cabinet Committee right away and proposals will also be ready to the same timetable. I hope the Labour Party and other parties will contribute. It will be remembered as a powerful demonstration of the strength and vitality of our ancient democracy. Record numbers registered to vote and record numbers cast their vote. We can all be proud of that. It has reminded us how fortunate we are that we are able to settle these vital issues at the ballot box, peacefully and calmly. “Now we must look forward, and turn this into the moment when everyone – whichever way they voted – comes together to build that better, brighter future for our entire United Kingdom. An expert panel looks at what happened, and where it leaves the UK and Scotland. Scots will vote in a referendum on September 18 on separation from the United Kingdom. 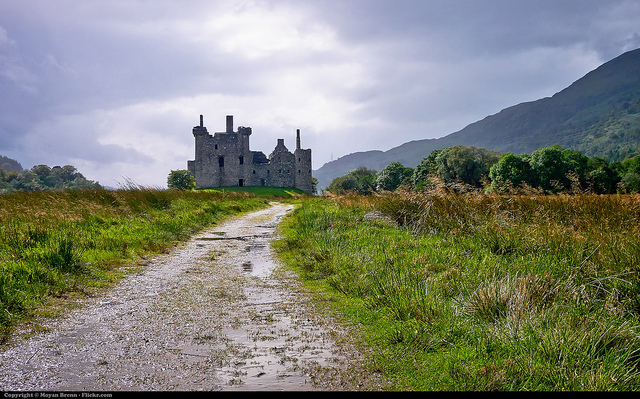 But the division of assets and liabilities in the break-up of a country is complex and vexatious – and in the case of Scotland, these matters are particularly difficult. The latest polls in Scotland, with the undecided vote discounted, shows 52 percent of respondents support staying with the United Kingdom while 48 per cent want independence. Scotland’s pro-independence leader Alex Salmond said Friday he would resign after losing a referendum that left the United Kingdom intact but opened a Pandora’s box of demands for more autonomy across Britain. British leaders are relieved by the Scots’ vote against independence. But devolving new powers to Scotland – and perhaps to England – may be a bigger challenge for Westminster than the referendum was. Every day another media list of newly-published science papers arrives in my email inbox: the result of earnest investigations into weighty issues. Then, once a year, there’s the Ig Nobel Prize list, awarded by an organization called Improbable Research. Part of the amusement around this awards ceremony, held at Harvard on Thursday, is that the researchers whose work is the brunt of the humour were conducting earnest investigations into things they considered weighty. That, and how they are good sports about having their life’s work roasted. The awards are the highlight of the scientific calendar, Improbable Research claims Nature to have declared — not improbably. The scientists awarded Ig Nobels at the ceremony on September 18 included researchers who investigated the mental health problems of cat-owners; the brains of people who see Jesus’s face in toast; linkages between staying up late and being a psychopath; whether dogs poop according to north-south geomagnetic lines; and how reindeer react to humans disguised as polar bears. PSYCHOLOGY PRIZE [AUSTRALIA, UK, USA]: Peter K. Jonason, Amy Jones, and Minna Lyons, for amassing evidence that people who habitually stay up late are, on average, more self-admiring, more manipulative, and more psychopathic than people who habitually arise early in the morning. BIOLOGY PRIZE [CZECH REPUBLIC, GERMANY, ZAMBIA]: Vlastimil Hart, Petra Nováková, Erich Pascal Malkemper, Sabine Begall, Vladimír Hanzal, Miloš Ježek, Tomáš Kušta, Veronika Němcová, Jana Adámková, Kateřina Benediktová, Jaroslav Červený and Hynek Burda, for carefully documenting that when dogs defecate and urinate, they prefer to align their body axis with Earth’s north-south geomagnetic field lines. ECONOMICS PRIZE [ITALY]: ISTAT — the Italian government’s National Institute of Statistics, for proudly taking the lead in fulfilling the European Union mandate for each country to increase the official size of its national economy by including revenues from prostitution, illegal drug sales, smuggling, and all other unlawful financial transactions between willing participants. MEDICINE PRIZE [USA, INDIA]: Ian Humphreys, Sonal Saraiya, Walter Belenky and James Dworkin, for treating “uncontrollable” nosebleeds, using the method of nasal-packing-with-strips-of-cured-pork. ARCTIC SCIENCE PRIZE [NORWAY, GERMANY]: Eigil Reimers and Sindre Eftestøl, for testing how reindeer react to seeing humans who are disguised as polar bears.